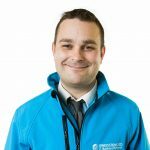 Here at LaneSystems our knowledgeable and experienced engineers provide IT Support across Hartlepool and the surrounding areas. Speak to us for a free audit today. IT Support is a necessary service for each and every company based within the Hartlepool area. Luckily, this is an industry at which we excel. Having been in business for almost 25 years, we have developed extremely strong working ethics, particularly surrounding business relationships. Our role is to become your business partner, working steadily alongside you in all your IT support related needs. We make IT Support in Hartlepool straightforward. Home to the stunning Hartlepool Marina, why not arrange to meet us for a coffee and a chat at one of the surrounding cafe’s? It’s a great place to start building up a long-lasting business relationship. Alternatively, simply fill out our online form and a member of our team will be in touch. Customer service is extremely important to us and we strive to build solid relationships with all of our clients. By assessing the individual needs of your company we will ensure to provide you with the best package to suit your requirements.